This combination of 2004 and 2016 file photos shows fashion designer Kate Spade and chef Anthony Bourdain in New York. A U.S. report released in June 2018 found an uptick in suicide rates in nearly every state since 1999. Middle-aged adults – ages 45 to 64 – had the largest rate increase. Bourdain was 61 and Spade was 55. 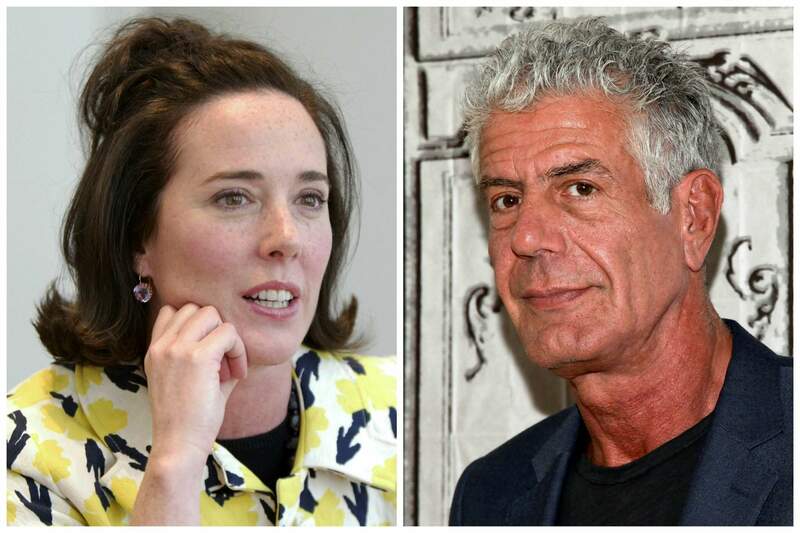 CHICAGO – The deaths of celebrity chef Anthony Bourdain and fashion designer Kate Spade highlight a troubling trend – rising suicides among middle-aged Americans. Bourdain, 61, and Spade, 55, died three days and a continent apart this week amid a new U.S. report showing an uptick in suicides rates in nearly every state since 1999. Middle-aged adults – ages 45 to 64 – had the largest rate increase, according to the report from the Centers for Disease Control and Prevention. Moutier of the American Foundation for Suicide Prevention, said that suicides can be “contagious” – hearing about one may make others who are already at risk turn to self-harm. She said celebrity suicides also typically prompt an increase in calls to suicide help lines.